This mobile app is intended for informational, educational and research purposes only. It is not, and is not intended, for use in the diagnosis of disease or other conditions, or in the cure, mitigation, treatment, or prevention of disease. Health care providers should exercise their own independent clinical judgment when using the mobile app in conjunction with patient care. This mobile app is provided for informational and educational purposes only. Use of the material for any other purpose constitutes infringement of the copyright and intellectual property rights owned by the specific owners for the app. By using any of this material, you assume all risks of copyright infringement and related liability. 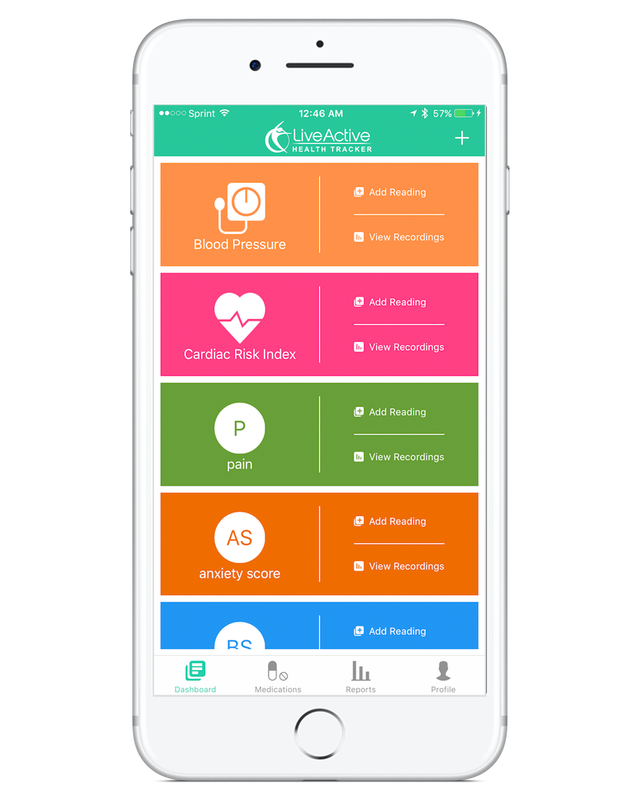 This app and its content may not be reproduced or used for unauthorized purposes without prior written permission, which may be obtained by submitting a written request to: LiveActive Health Tracker 7199 West 98th Terrace Suite 110 Overland Park, KS 66212. If the app owners place further restrictions on the material, you must honor those restrictions regardless of whether such restrictions are described in this mobile app.